BNP on Saturday described Awami League leader Mahbub-ul Alam Hanif’s remark that the Election Commission (EC) is more sympathetic towards BNP while harsh with the ruling party as nothing but a ‘mockery’. “People can’t consider it as nothing but mockery of the year,” said BNP joint secretary general Ruhul Kabir Rizvi. Earlier on Thursday, AL joint general secretary Mahbub-ul Alam Hanif said EC is more sympathetic towards BNP, while harsh with the ruling party ahead of the December-30 municipal polls. Mentioning that Awami League has no tradition of tolerating criticism, he alleged that the government has ‘following the role of Feraun’ to suppress its opponents and criticisms. He came down hard on the Election Commission for its inaction against the violation of the election code of conduct by the ruling party men, saying the Commission has been playing the role of an inactive post office. 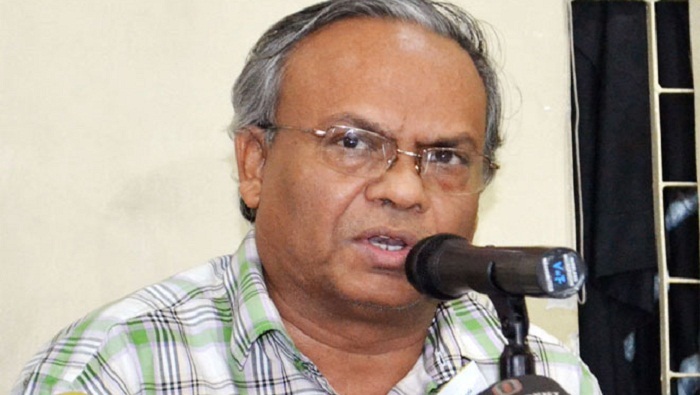 Accusing the ruling party men of attacking BNP leaders and activists and intimidating and harassing them in different municipalities, Rizvi urged people to guard the polling stations until the results are announced on the voting day. He also demanded withdrawal of the defamation case filed against BNP Chairperson Khaleda Zia in Narail for raising question about the figures of Liberation War martyrs.